Boris Vinokurov, of Gostelradio in the former Soviet Union, was found insane, along with his wife and daughter, after he called prematurely for a bipartisan economy and communication system. The Ukranian mathematician Leonid Ivanovich Plyushch was arrested and diagnosed as schizophrenic with messianic and reformist delusions, after helping found the Action Group for the Defense of Human Rights. He spent nearly four years in psychiatric detention, where he survived massive doses of drugs, and lived to emigrate in 1978. There is little doubt that the Soviet state frequently hospitalized healthy individuals, either involuntarily or voluntarily admitted by relatives and others, for political activity or religious observance. All too frequently, political activists would come down with acute cases of asymptomatic psychiatric conditions that were purported to require detainment and heavy medication. Forced hospitalizations took place on a scale corresponding to the activity level of the dissident movement. In No Asylum: State Psychiatric Repression in the former USSR, Theresa C. Smith and Thomas A. Oleszczuk offer the first detailed quantitative study of psychiatric abuses in the USSR, based on more than 700 well-substantiated individual cases. "Class Theory and History" is an amazing study of the Soviet Union that goes well beyond the study of one society's experience. 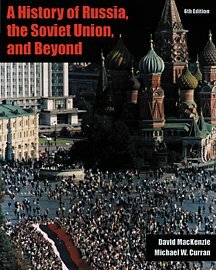 The book is about the class structure of the Soviet Union, but the way the analysis is conducted makes it clear that the questions Resnick and Wolff raise about class theory are applicable to all societies, and their particular answers in the Soviet case yield fascinating insights that have not been understood this clearly before. Wolff and Resnick have written at length about economic theory and methodology, and this work shows their use of class theory and overdetermination. The nuance and sophistication of their analysis is remarkable; their prose touches on the ideals and tragedies of the Soviet experience, the promise and the betrayal of that promise. At the same time, they write with urgency about the successes of the Soviet Union, particularly in the one area that most economists have argued was their greatest failure: agriculture. In terms of output, the USSR and Japan account for one-fifth of the world's economy, occupying second and third places behind the United States. Japan has the world's fastest growth of per capita income and the USSR has not lagged far behind. But a century ago they were static feudal societies. This study analyzes the policies which enabled them to transform their economies adn to catch up with the developed world. The strategies of the two nations adopted have been very different: Japan has maintained small farms and factories, developed a labor-intensive technology, and has successfully penetrated the world export markets. The USSR, on the other hand, has created giant farms and factories adn remained fairly isolated from world trade. Since 1945 teh USSR has devoted one-eighth of her resources to military purposes, Japan practically nothing. 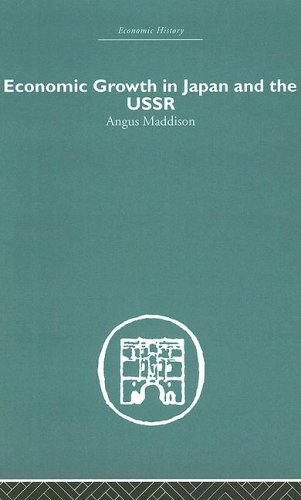 In Economic Growth in Japan and the USSR, Angus Maddison offers a comparative analysis of the growth experience of these two countries that greatly enlarges our knowledge of the development process. A better understanding of their past experience can be particularly illuminating and relevant for economic policy in developing countries today. 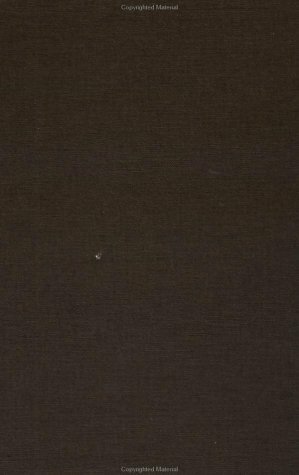 This classic text was first published in 1969. 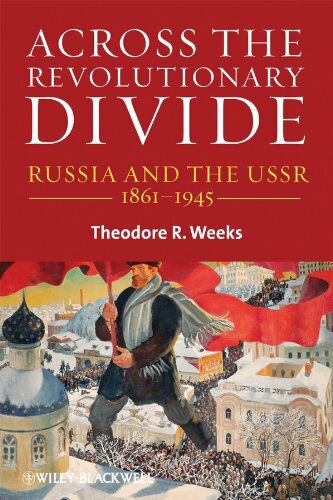 Across the Revolutionary Divide: Russia and the USSR 1861-1945 offers a broad interpretive account of Russian history from the emancipation of the serfs to the end of World War II. 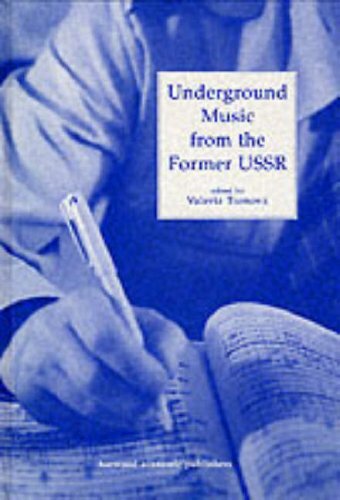 What happened to contemporary music in the Soviet Union after Stravinsky, Shostakovich and Prokofiev? This book is a valuable source of information on the composers of the generations following these three great innovators. It is a document of the "hidden" period of Russian music, of what happened after the denunciation of Shostakovich and Prokofiev by the Composers' Union. Russian Experiences: Life in the Former USSR and Post-Soviet Russia gives everyone a glimpse of what it was like to grow up in the Former USSR and how life changed (and didn't change) with its post-Communist heir. 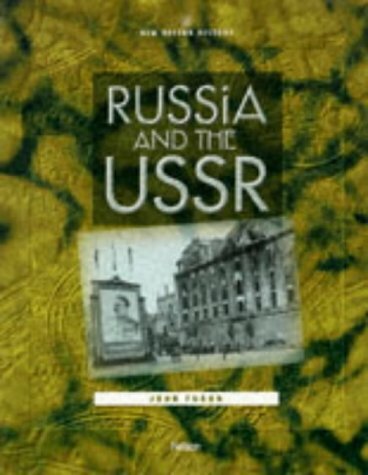 This book tells you, the civilized citizens of civilized countries, about real life in the Communist country, recently called the USSR, now known as the Russian Federation, its post-Communist "heir" and "legal successor." Though you may be aware of these countries, you might like to know more about what it's like to actually live in them. "An eye-opening revelation of the true Russia, this excellent book goes behind the national facade to explore the common worker and the struggling family. No political grandstanding in this book, just the riveting story of one man's personal quest for freedom. 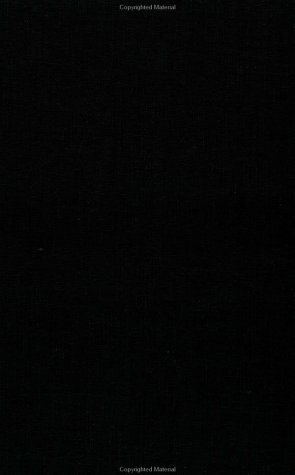 With the help of co-writer Marie Claire, a man known as "the Raven" -- who maintains his anonymity as Clare tells his story -- describes growing up in the pain and uncertainty following World War II, in the difficult and tense years of the Cold War, and during the breakdown of the Soviet Union. Always there is the Russian culture and the indomitable spi rit of its people. This is a well-written personal saga of one man's attempt to rise above the restrictive and impoverished conditions surrounding him to achieve a life of dignity. Written in a concise, smoothly descriptive style that utilizes rich yet simple language, Russian Experiences offers something for a wide range of readers." Right from the start, I liked this book written by The Raven and Marie Claire. 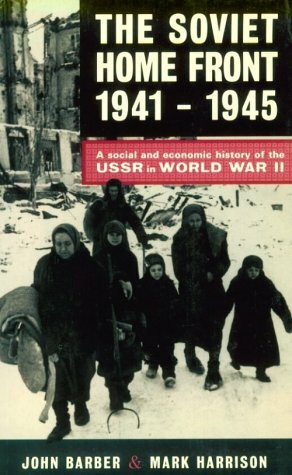 If you were not born yet in 1939 when the world was in an upheaval, reading this book provides a glimpse of what Communism is about. You quickly understand the reason for the Chinese Communist revolution in China in 1945; and why the Korean War and the Vietnam War. The first page of this book gives you instant answers. They wrote that the USSR (Union of Soviet Socialist Republics) was a country built by Communists since 1917, and whose aim was to establish a worldwide Communist regime. "(Karl) Marx," they also wrote, "believed, without questioning the results, that a Communist revolution should be worldwide." Obviously, at this writing, that has failed with the dissolution of the USSR into the new Russian Federation. 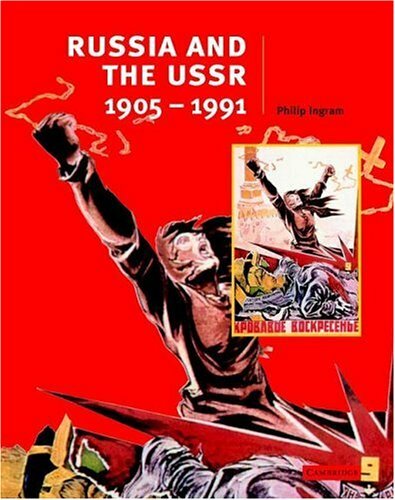 So if you like a bit of military history and how governments function, this is a brief but most interesting internal look at Communism inside the former Soviet Union and its different phases of life. The author, The Raven, born in Baku City, in Azerbaijan in what once was the USSR, writes this short but very informative book that gives you a look at what happened after the Communists came into power in 1917. 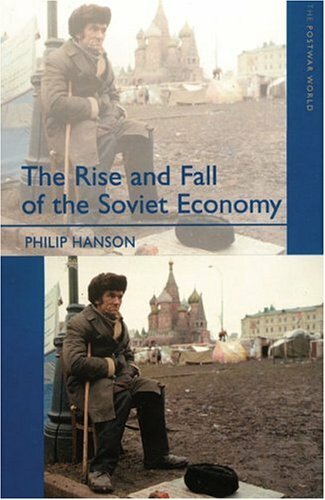 He tells of the pitfalls and why the USSR failed in its quest to establish Communism in Finland when the Russians went to war against the Finns in 1939-40. He also explains how a lack of communication was so costly to the Red Army when it was losing so badly to the Germans in the early days of World War II and the enemy was knocking on Moscow's doors. As a ten-year-old, I can remember the war between Russia and Finland in our newspaper headlines, and especially World War II when the Germans were trying to take over Russia and the fighting around Stalingrad in the bitter Russian winter. The Raven also writes about his health problems in his youth created by a doctor, who treated him incorrectly, which led to a partial loss of hearing and damage to his nervous system. Of equal importance is some of the unfair treatment of The Raven in later years by one particular dean in his quest for an education. Specifically, The Raven tells how a single unanswered question evoked a negative response from the head of the linguistics department concerning answers to all other questions on the exam. The Dean suddenly decided that The Raven's previous answers were wrong, and offered new questions for The Raven to answer. Fortunately, The Raven managed to transfer into computer studies and received much better treatment despite living in inadequate housing and crowded situations. 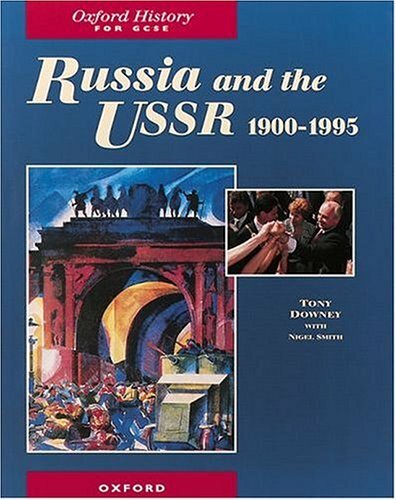 It's a very revealing book and I would highly recommend it, especially to students and historical buffs who are interested in the old Soviet Union and the new Russian Federation. A four-star effort for certain. 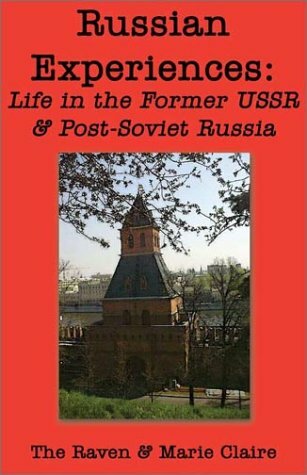 Told through the voice of one who lived and experienced Russian life, 'Russian Experiences' is a unique opportunity to discover what it was really like to live in Russia and its environs during the great changes that occured in the late 1980's and early 1990'2. Author Marie Claire and 'The Raven', tell their story with compassion, though without sugar-coating. This book is a blunt, factual and personal account of the conditions under which one man was forced to endure and overcome. For a personal, non textbook view of Russian conditions and attitudes, this is a book that comes highly recommended. Authors "The Raven" and Marie Claire collaborate in RUSSIAN EXPERIENCES: LIFE IN THE FORMER USSR AND POST-SOVIET RUSSIA to provide an insider's view of life in Russia. The first chapter provides a brief explanation of communism and the pitfalls of such a governmental system. The second section reveals the first hand struggles of one man living under communism and in post-Communist Russia. Readers need to realize that the personal sections of RUSSIAN EXPERIENCES are penned by an English as a second language author, with the idiosyncrasies and word choices that accompany such a writing style. Only a hundred pages, length seems to have dictated the depth that narrative reaches and readers who seek a truly personal narrative will be left wanting. Nevertheless, RUSSIAN EXPERIENCES provides a simple yet concise explanation of communism for younger generations who do not remember the Cold War and associated propaganda. It also gives readers a personal feel for living in Russia during the communist regime. RUSSIAN EXPERIENCES would be perfect required reading for high school government classes. Recommended.